I mentioned in one of my previous blogs that as John is vegan, it makes sense for us to self-cater when we are travelling. I found O Moinho Da Bibi on Booking.com – and pressed ‘book now’ within about 5 seconds. 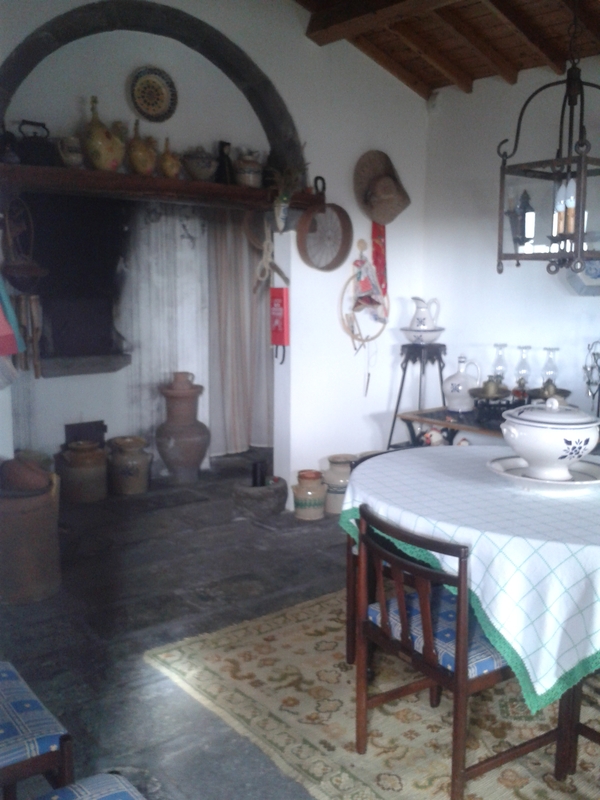 We both love quirky buildings and this was ideal – a great location for our needs and had excellent reviews. You can also book directly with the owners via their website. We arrived on Monday morning and were met by Gabriella. Her daughter Patricia had been my main contact through the booking, as O Moinho is managed by the family. Gabriella gave us a very warm welcome and took time to talk to us about local sights and places to visit. She gave us some maps and also a comprehensive folder of local information, and of course, a tour of the Moinho. To say we were delighted with our booking was an understatement. As we ventured from room to room and through the outside spaces, we knew we had found a gem. The mill is beautifully restored – it dates from around the mid 19th century and was converted in 2001. 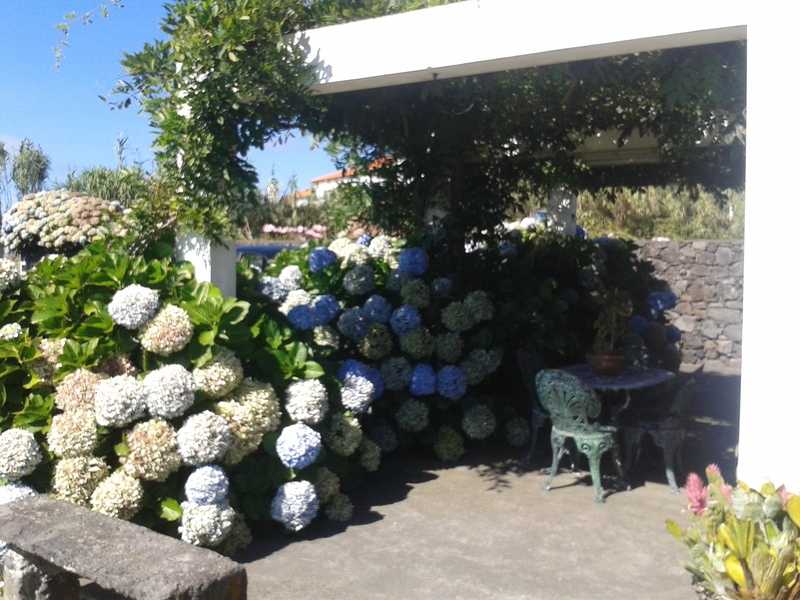 It sits around 17km north of Ponta Delgada airport, in the village of Candelaria, and is nestled down a small lane with the sea next door. Absolutely idyllic. Gabriella provided us with a complimentary basket of local produce on our arrival – bread, cheese, eggs, yoghurt, milk, jams (which I mostly scoffed to myself!). The mill is beautifully equipped with everything you could wish for, a lower floor kitchen and outside terrace make for great evening al fresco dining. 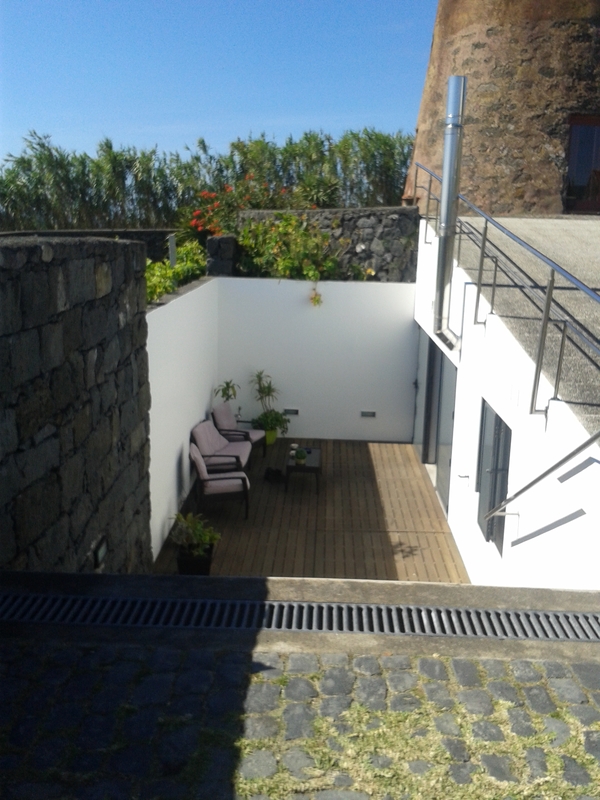 Accomodation is set over 4 floors, with space to accommodate up to 5 people. A top floor room is set high up into the roof. The views out to sea from the top floors are stunning. A really quirky feature is the outdoor kitchen, set in the lovely garden – an original building which houses a bread oven and is kitted out with everything you need for outside dining, as well as use of the bbq. 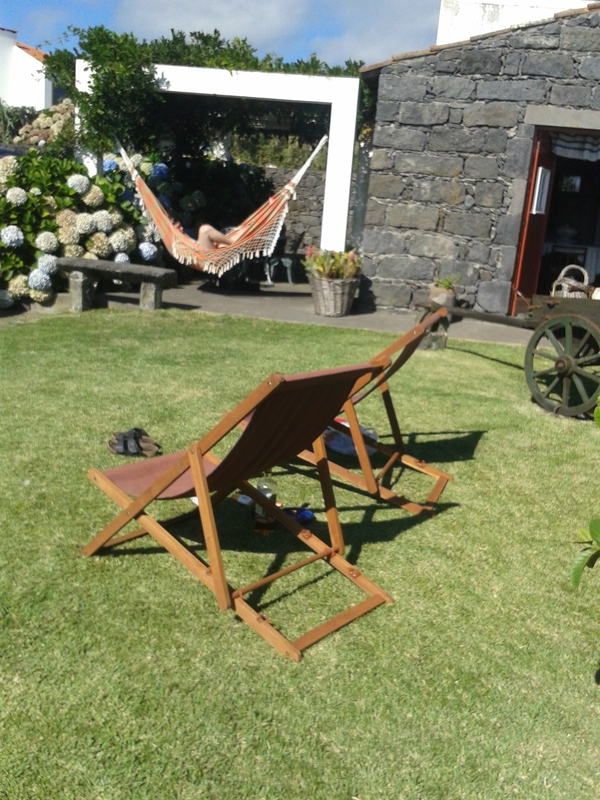 There are hammocks, deckchairs and an outside shower for when it gets really hot. And those views of the sea…. Coming ‘home’ to the windmill each day was a joy. Sitting in the garden of an evening with wine and a book, watching the sunset and listening to the night come alive with the sound of insects . We are so glad we found it – and we will definitely miss it. 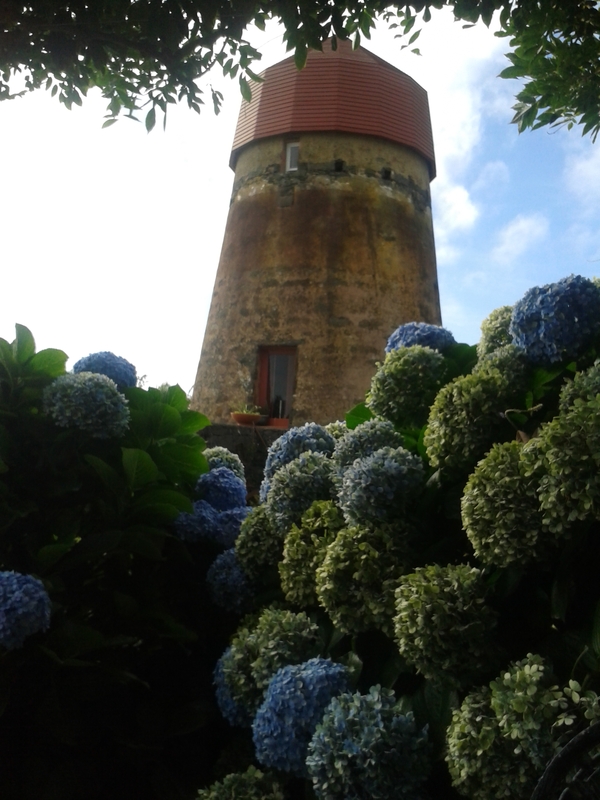 We said goodbye to O Moinho today as we move on to our next destination – the island of Terceira.